Scores of fans, supporters and interior designers turned out on September 19th to welcome California Closets to Bernardsville and support the Steeplechase Cancer Center at Somerset Medical Center. Nestled on Olcott Square in the bustling downtown area, the showroom exudes the style, innovation and luxury that California Closets has become known for. While viewing the installations and dreaming of ways to incorporate them into their own homes, guests also enjoyed a variety of light bites, wine tastings from Pour & Pedal, Laurita Winery and Cream Ridge Winery and a custom cake from the famed Carlo’s Bakery. 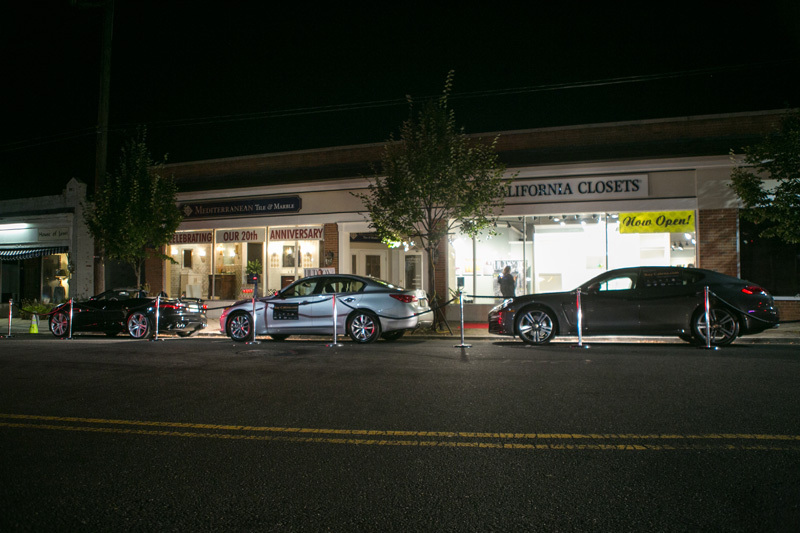 Tying the event together and drawing attention from passerby’s were three ultra luxe cars from Ray Catena. For more from the event, take a look at photos and video below, hosted by Hotel Impossible star and local designer, Blanche Garcia who spoke to those in attendance about her show and admiration for the California Closets’ brand.